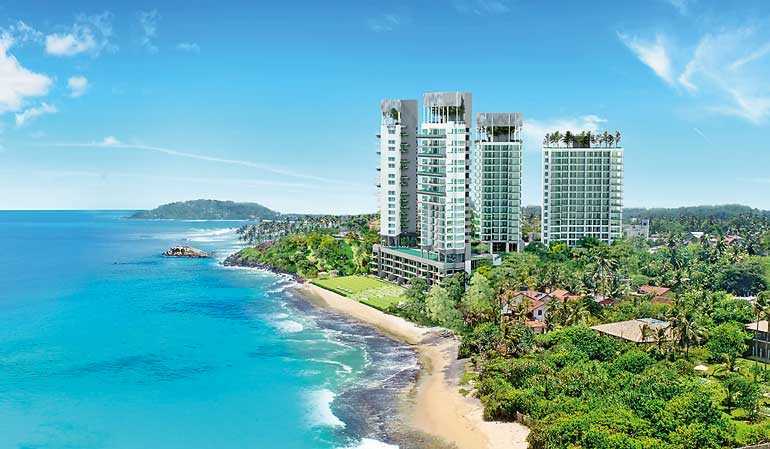 Elysian Mirissa, Sri Lanka’s one and only luxury, 154-unit beachfront apartment project, in Mirissa; developed by Elysian Realty Ltd., begins 2019 on a high note. As sales and construction continue steadfast due to its value for money offering, the project has come to rival international market capital gains in real estate. Elysian Mirissa, broke ground 10 months ago, having completed piling at the end of October 2018, with an expected completion date of 2021 for tower 2, 3, 4 and 5; and 2022 for Tower 1. The project continues on schedule in order to provide a complete, quality product for its residents/investors. With over 50% of apartments sold, the project is set to make its mark on Sri Lanka’s southern coastline as one of the nation’s iconic projects; the flagship property of Elysian Realty. With apartments starting at $ 99,950, the property offers one to three bedroom units, ranging from 522 to 1,1822 sq ft; and three and four bedroom Sky Villas, ranging from 2,254 to 3,012 sq ft. The most popular units among international investors have been its terraced/private pool Sky Villas.